Choctaw-Apache Foodways explores the rich and complex food history and culture of the Choctaw-Apache Community of Ebarb in western Louisiana. The book is published by Stephen F. Austin State University Press and distributed by Texas A&M Press/ Texas Book Consortium. The publication was made possible in part by a publications grant from the Cane River National Heritage Area. The book is now available at Amazon.com,Barnes and Noble, Texas A&M Press/ Texas Book Consortium. Ask your local bookseller to keep copies in stock. Royalties from the book will be donated to the Choctaw-Apache Tribe. 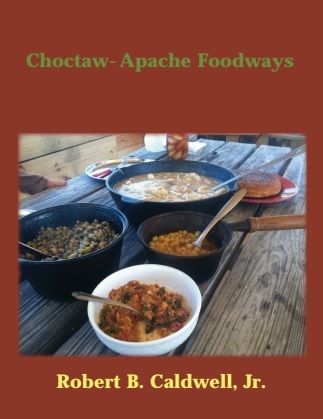 “Robert Caldwell’s book Choctaw-Apache Foodways fills in a gap in the documentation of Louisiana traditional cultures. From the garden to the table, it explores the importance of foodways as an ethnic marker for this cultural enclave.” -Maida Owens, Louisiana Folklife Program Director. “Robert Caldwell offers an insightful and delightful look at how foodways have dynamically contributed to survival and identity among the Choctaw-Apache people of Louisiana. In a book written both to serve his own community and to inform a wider readership, he also demonstrates what can be achieved when comprehensive research methods of the scholar are skillfully blended with personal experiences and connections of the insider.” – Daniel H. Usner, Vanderbilt University. 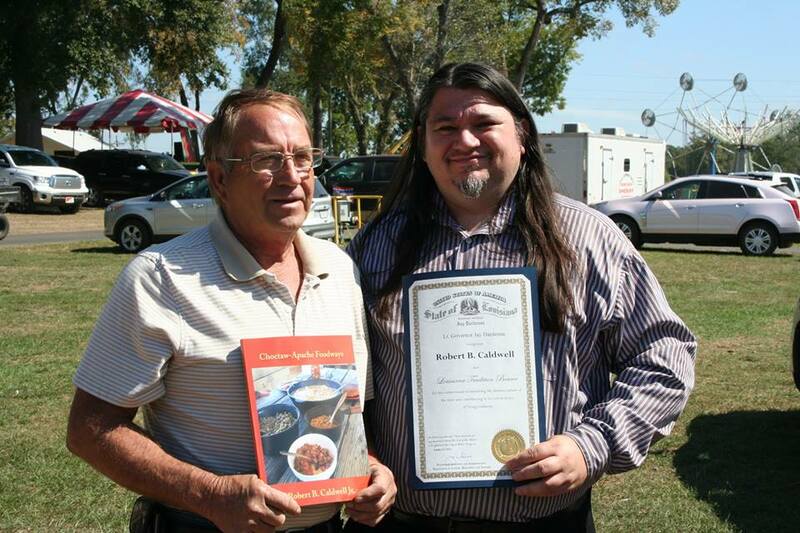 The book is based on Mr. Caldwell’s 2011 Masters Thesis, Foodways of the Choctaw-Apache Community. The book is organized into chapters emphasizing various kinds of foods and food preparation techniques, the importance of food to family, and the place of food nostalgia. It compares foods from this community with the foods of other tribes, and examines cultural change and efforts to ensure cultural survival. The book also offers a heaping helping of tasty old-time recipes. The Choctaw-Apache community is located at an ancient crossroads, a borderland area where the division between the numerous streams and bayous of Louisiana and the old prairies of Texas is now hidden in a dense pine forest. Anthropologists have long divided American Indian cultures into southeastern and southwestern cultural areas. the Choctaw-Apache represent a distinct mix between these “food areas.” The community’s foodways are influenced by numerous cultural regions and ecological niches along the Camino Real de los Tejas as well as the culture region of the U.S. Southeast. Their food culture reflects hundreds of years of cultural interactions between so-called “old world” and indigenous groups. The subject matter of this book has long been a mystery to outsiders. The cuisine developed from a longstanding cultural exchange between tribes of the southwest and southeast, and the colonial-era Spanish and French. These multiple food influences crossed cultural boundaries in the 18th and early 19th century to blend into a distinctive local cuisine that serves as an ethnic marker that sets this American Indian community apart from surrounding groups. In the past, both mystery and fear kept the outside world at arm’s length. This book brings the community’s cuisine and its rich history to a broad audience. The publication was made possible in part by a grant from the Cane River National Heritage Area. 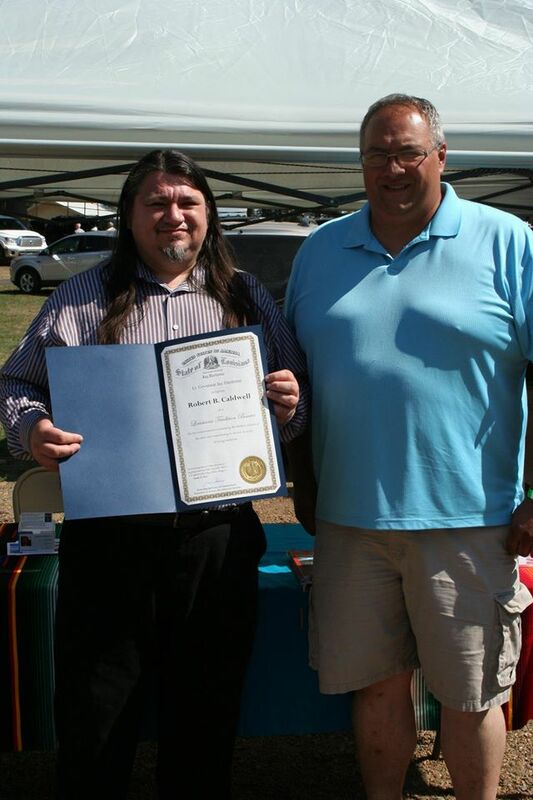 On October 10, 2015, I was presented the award (designation) of Louisiana Tradition Bearer by Dr. Keagan LeJeune on behalf of Louisiana Folklife Commission and the Lt. Governor of Louisiana for the significance of my book Choctaw-Apache Foodways in sustaining the distinct culture of the state and contributing to its rich diversity of living traditions. I received the honor on behalf of my elders and all of those folks who shared living traditions with me.